A few days ago, my buddy, Keith, and I were having a conversation about restoring older cars and trucks. This is a topic of great interest to me…in a sort of spectator sport kind of way. 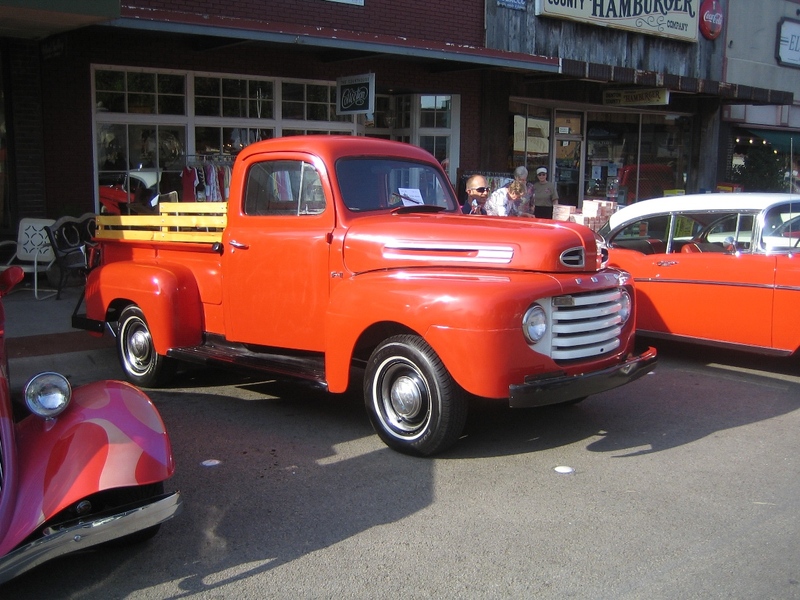 Given the right circumstances, I said, I might be interested in working on an old pickup. I went on to say that I have great appreciation for the design styles (in general, not automobiles specifically) of the 1940’s, but really liked the look of the early 50’s Chevys. Keith countered with his opinion that the 50’s trucks were too round and his preference is actually the 1940’s trucks with a more pointy nose. Perhaps, he is on to something. 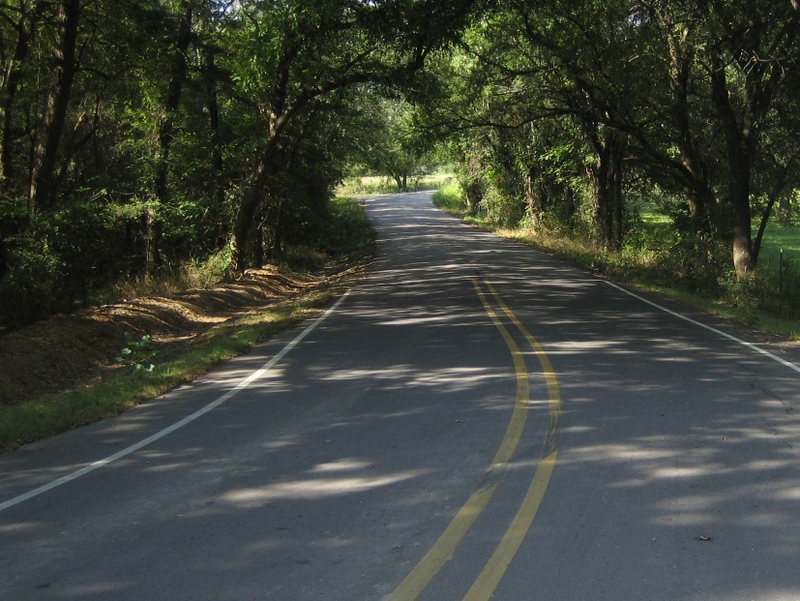 Today’s ride was a backroads excursion into Denton. The objective was to ride to the square and see what was shakin’. It seems there is often something interesting going on down there. Today it was a car show. Actually, there were restored and/or customized cars, trucks, and motorcycles. It was a perfectly entertaining rest stop as they had the roads closed off to car traffic, but walkers and bicycles were allowed in the square to take in the sounds and sights of a bunch motor enthusiasts. Noodling along, with an eye out for pickups, I rolled right up to this beauty. There were many other nice vehicles to oogle, but this one was probably my favorite. Even with all the fancy paint, exotic customizations, and shiny chrome gleaming in the sun, this simple and functional 1948 Ford struck a chord. 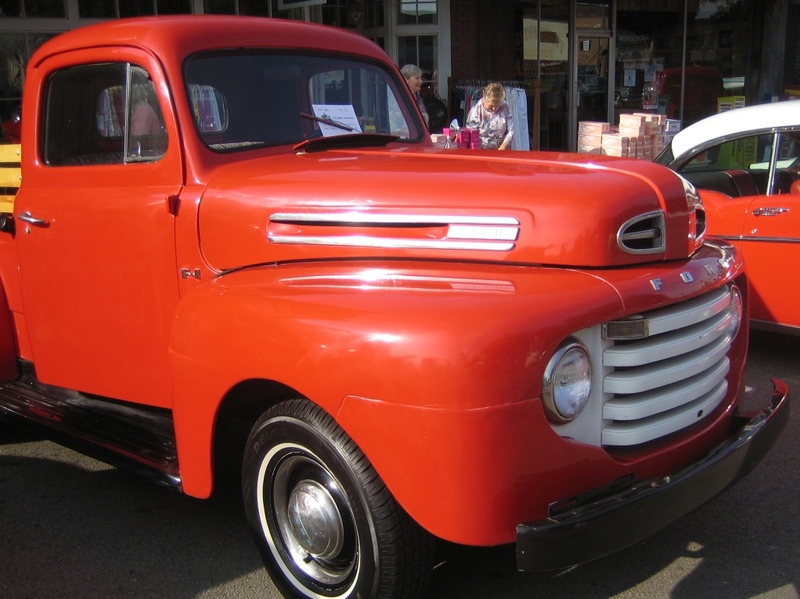 I’m not saying, necessarily, that it’s better than a 1951 Chevy, but really now…who couldn’t love this face?